Robert Hurt: Affordable Care Act more costly than ever? Front Page » Events » Robert Hurt: Affordable Care Act more costly than ever? Last week the Obama administration confirmed that the Affordable Care Act continues to break one of its signature promises – that the law would in fact reduce the cost of health care for the American people. The Administration announced that insurance premiums in the federally- managed health exchanges would increase by an average of 25% for the mid-level benchmark plan in 2017. We have seen these costs grow in recent years, so this news is no surprise, nor was it unforeseeable when the law was debated and passed. We knew that government-knows-best rules and mandates would not in fact make health care less expensive nor achieve many of the other things the proponents promised. The Richmond Times-Dispatch reported that Virginia consumers will fare “relatively well” as it relates to these increases, and on a statistical basis that is certainly accurate. On average, Virginians will see a 10% premium increase for benchmark plans and an overall 19.5% average premium increase for all plans, far less than the 53% increase in Pennsylvania, or the 63% hike in Tennessee, or the staggering 116% jump in premiums in Arizona. But Fifth District Virginians would not describe 10-20% increases as faring well because they cannot afford double-digit hikes at a time when the economy is not growing fast enough nor are good jobs and wages. In response to critics of these premium hikes, defenders of the law point out that most of the exchange participants receive government subsidies that will offset some of the increased costs. But that is also cause for great concern because hardworking American taxpayers are paying and will continue to face higher taxes to pay these subsidies and our debt will increase more rapidly as these costs continue to spiral out of control. This is an entirely unsustainable course. Additionally, insurer participation in the exchanges will decrease dramatically next year, with 70 companies stating that they will no longer offer coverage. As a result, nearly 20% of exchange participants will only have one insurer available to them. Absent choice and competition, it is no surprise that costs are increasing. And consumers are also being forced to see new doctors and health care providers given these changes, representing yet another broken promise. Perhaps the most unfortunate fact is that we have known from the very beginning that these outcomes were both likely and foreseeable, yet we have been led down this path and the American people are suffering the consequences. They have seen billions of dollars in tax money spent, higher out of pocket costs for consumers, loss of access to preferred coverage and providers, fewer jobs and fewer work hours, yet none of the promises of the law have been fulfilled. It is time to reverse course and put an end to the broken promises. We must inject market-oriented reform into the healthcare system that gives the American people more choice and will reduce their costs. Making care more affordable will increase access for everyone while enabling them to see the doctors of their choosing. I remain committed to reforms that are patient-centered and market-oriented to deliver the healthcare system the American people deserve. If you need any additional information or if we may be of assistance to you, please visit my website at hurt.house.gov or call my Washington office: (202) 225-4711, Charlottesville office: (434) 973-9631, or Danville office: (434) 791-2596. 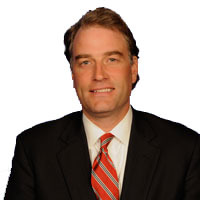 Robert Hurt represents the Fifth District of Virginia in Congress.